This list is also available as BibTeX file. “Visualizing Shiga Prefecture using RESAS: cloud-based analysis system with government open big data.” Jongchan Lee, Tetsuto Himeno, Shohei Shimizu, Takuma Tanaka, and Akimichi Takemura. 6th IIAI International Congress on Advanced Applied Informatics, July 9th, 2017, Act City Hamamatsu (Hamamatsu). “A second-person approach through a simulated sandplay therapy session.”, Yasutaka Kubota, Michiko Akimoto, Keiko Furukawa, Junko Ito, and Takuma Tanaka. The 18th International Congress of Neuropsychoanalysis, July 14, 2017, London. 2019–2021: KAKENHI (C)19K12184 from Ministry of Education, Culture, Sports, Science and Technology, Japan. 2016–2018: KAKENHI 16K16123 from Ministry of Education, Culture, Sports, Science and Technology, Japan. 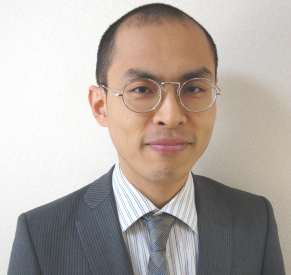 Tanaka, Takuma M.D., Ph.D., 2008–2019.